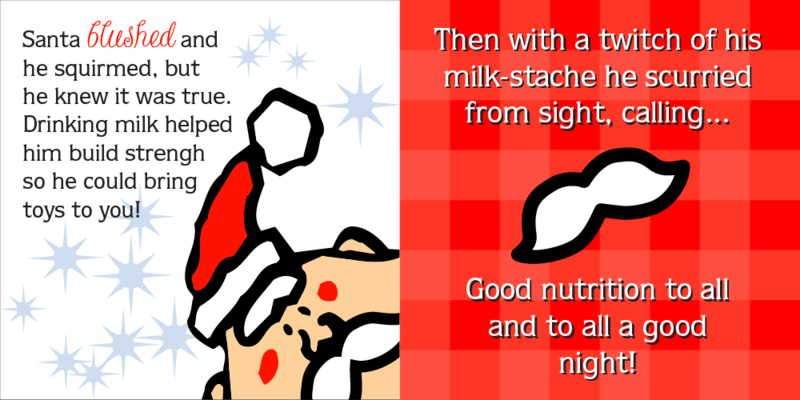 Sometimes getting children to drink their milk takes making it fun. 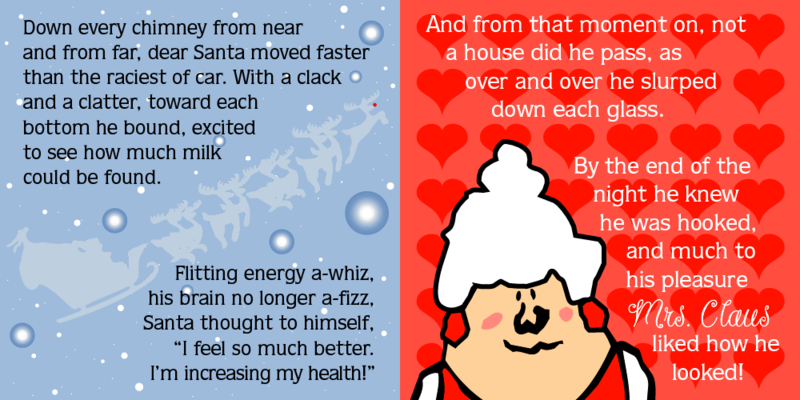 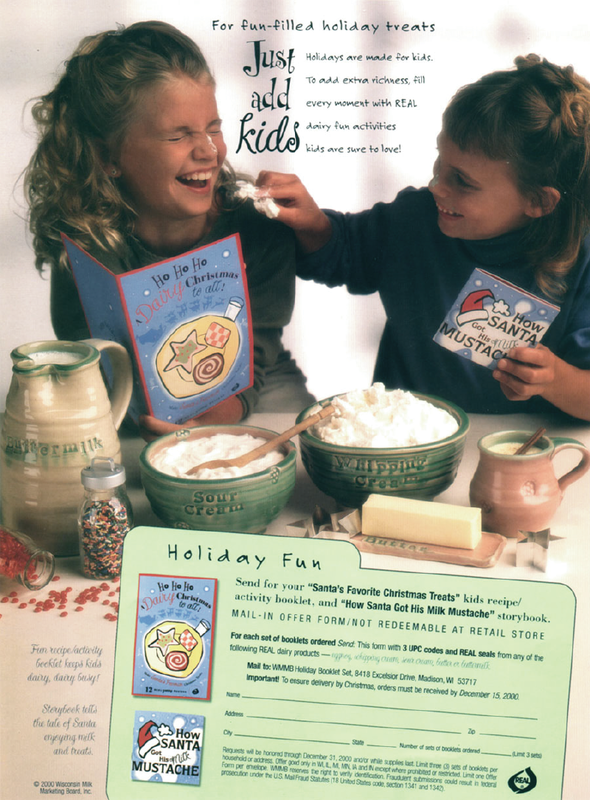 In this cute little promo book for the Dairy Council of Wisconsin (now the Wisconsin Milk Marketing Board), I used storytelling to get kids to engage with a pale and thin Santa who became jolly and strong by drinking milk. 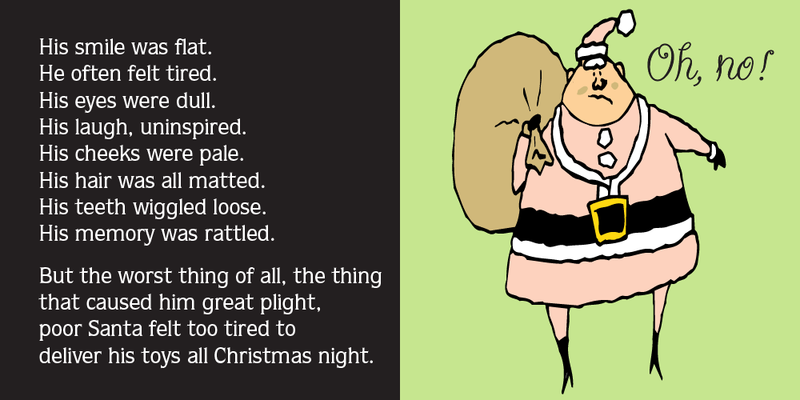 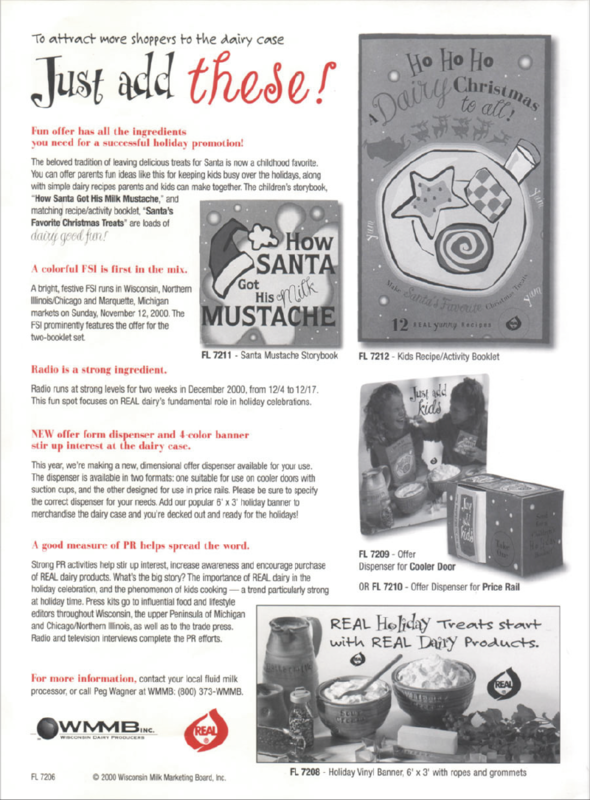 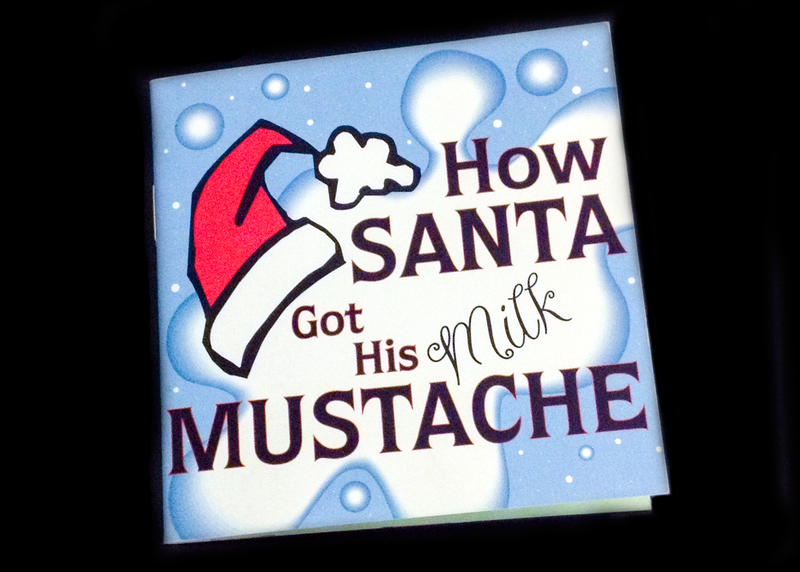 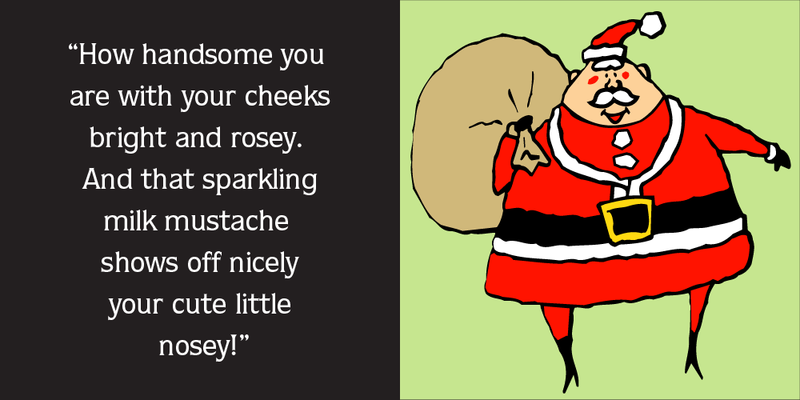 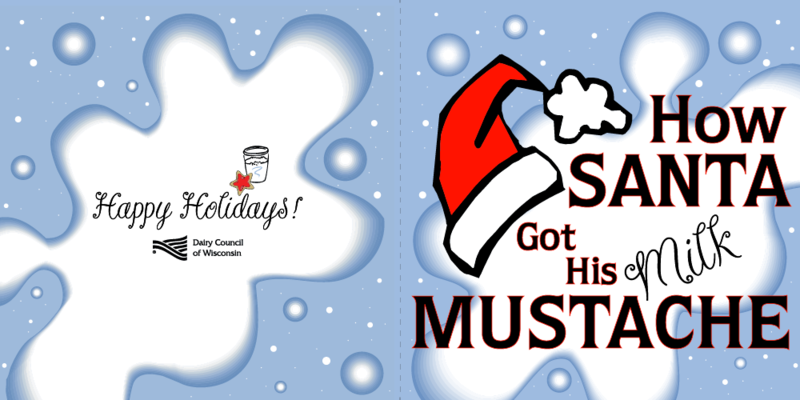 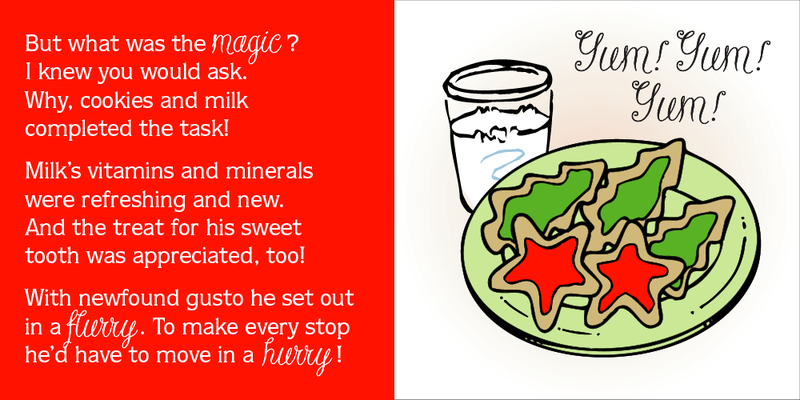 Used in conjunction with a milk and cookies activity book, the campaign was launched in Wisconsin stores and schools at Christmastime to rousing sucess. 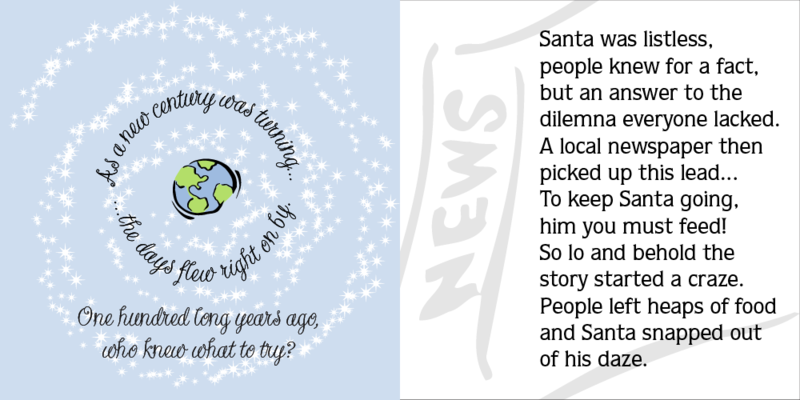 Children loved the kid-friendly 4" square size of the book and were thrilled when Santa himself came to read the story to them in person. 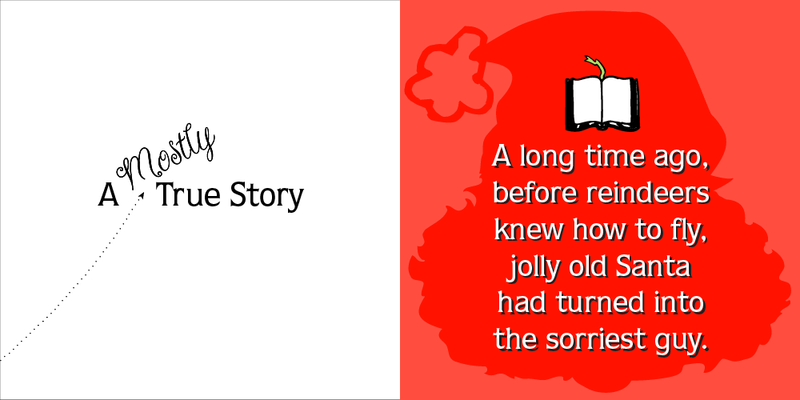 Demand for it was so high that multiple reprints of the book were quickly ordered and the campaign was repeated the following year.